this will be the second time today. but i have a good reason! kidding. but we are heading south for the weekend! driving straight through to vegas tonight, hubby has the auto auction in the morning and i have a super important date with the pool and the outlet malls. then head to st. geezy tomorrow night where we'll stay briefly in my parents beautifully empty home and then back to sandy on saturday evening. since hubby and i used to do this all the time when we were first married. anywho. pretend this post is for tomorrow. enjoy your weekend. i know i'll be enjoying mine! You are too cute! Love the outfit! I leave for Vegas on the 10th ... One of my most favorite places. If I could drive there I would feel on top of the world! Super cute! Enjoy your trip! Newest follower here! Great outfit post, I love the pants! 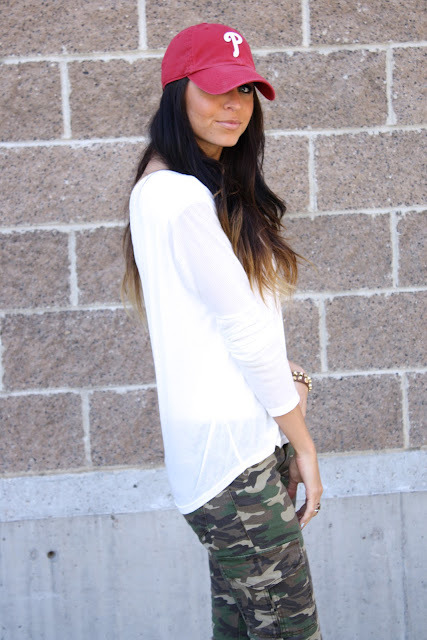 I just did an outfit post too! 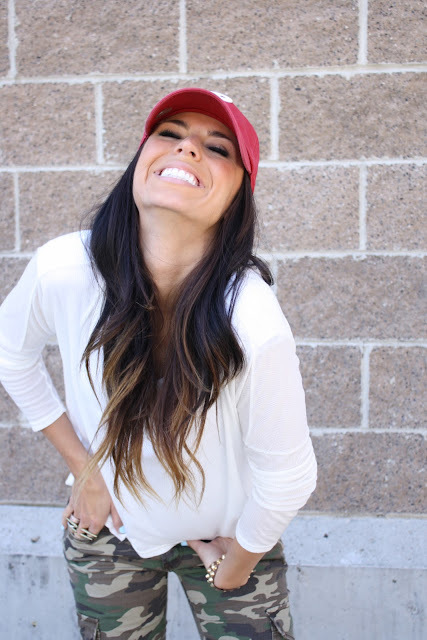 The fact that you are wearing a phillies hat just made me love your blog even more!!! Oh and I really Love this outfit, so good! OMG, this is such a cute look. I absolutely love it!!! !